This makes it evident that you cannot neglect the importance of investing in an active and efficient security force to guard the area. If you live in such a community, you need to understand that it has different and unique security needs. Mostly, homeowner associations are not fully responsible for protecting your priceless possessions and loved ones. Although they try to give you a secure environment, they sometimes fail to take timely action when an unexpected incident occurs in the community. This is why the association and the residents need to realize the importance of hiring a professional security force that can give you a sense of protection. Still not convinced? Read on as we shed some more light on the top advantages of hiring homeowners association security. In a homeowners association community, the residents, visitors, and guests are allotted the same place where they can park their vehicles. This is why the parking lot, at times, becomes too crowded (such as when visitors come), which gives rise to parking issues. For this reason, it is important to have a security guard or two present to enforce traffic and parking rules. Hiring these guards can also be beneficial for you in that they patrol the parking lot and keep an eye out for any suspicious activity. It is essential to protect your community from any kind of vandalism, burglary, break-ins, and trespassing. To give maximum protection to all the residents living in the vicinity, it is necessary to hire a security force that will go the extra mile to give the families the kind of peace of mind they deserve. As the owner or manager of a homeowner association, you need to be mindful of the fact that if residents feel unsafe and vulnerable, they will eventually decide to leave. This will reflect badly on the area. So make sure that you hire the right security measures to prevent such a disastrous situation from unfolding and ensuring that the residents remain satisfied and happy. By hiring a trustworthy and dependable security force, you and the residents can have peace of mind. This can only happen when you and all the locals who are a part of the community know that you no longer have to keep an eye out for suspicious people or activity – a professional is doing it instead. Ultimately, by having peace of mind, everyone can go about their daily activities in the best way possible. 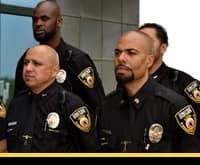 To fulfill all the security needs of a homeowner association community, it is important to hire armed and unarmed security guards and employ other necessary measures. So make sure you invest in the right homeowners association security services and ensure your peace of mind.